This weekend at Davies Hall, famed Finnish conductor Esa-Pekka Salonen will be leading the San Francisco Symphony in two evenings of Nordic-influenced classical music. Salonen is a conductor and composer whose Violin Concerto will be performed in addition to works by Richard Wagner and Jean Sibelius, who is considered by many to be Finland’s greatest composer. The evening begins with a performance of Jean Sibelius’ tone poem Pohjola’s Daughter, Op. 49. The tone poem is based upon a character from the Finnish national epic Kalevala, which is considered to be one of the most significant examples of Finnish literature. Sibelius had originally wanted to name the tone poem after the epic’s shamanistic hero Väinämöinen (pronounced VI-na-MER-nen), but his publisher insisted upon naming the work after the beautiful maiden from the northern land of Pohjola, whom Väinämöinen wishes to marry. In addition to perfectly capturing the essence of the narrative, Sibelius musically evokes the chilled, wintery beauty of the northern lands and its mythology. As a matter of fact, the word pohjola is now used in the modern Finnish language to refer to the Nordic countries. Following the performance of Sibelius’s atmospheric masterpiece, Salonen will lead the orchestra and acclaimed violinist Leila Josefowicz in a performance of his award-winning Violin Concerto. The work was premiered in 2009 by Josefowicz with the Los Angeles Philharmonic, and marked the end of Salonen’s epochal tenure as the music director of the orchestra. 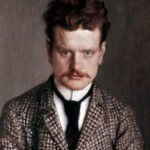 The concerto continues the Finnish musical tradition brought to prominence by Jean Sibelius during the 20th Century, and infuses it with Salonen’s own unique compositional style and contemporary musical sensibilities. In addition to being a specially virtuosic vehicle for Josefowicz’s outstanding violin technique, Salonen’s Violin Concerto masterfully evokes the beautiful, shimmering landscapes of the Nordic hinterlands in a way that would make his great Finnish predecessor proud. 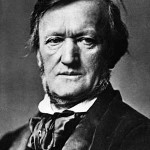 Salonen closes the program with selections from Richard Wagner’s Götterdämmerung (Twilight of the Gods), the final opera in his great Der Ring des Nibelungen cycle. The cycle includes three other operas and is based on the ancient Nordic sagas and the great Middle German epic poem, Das Nibelungenlied. 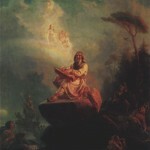 The poem, similar to the Kalevala, which inspired Sibelius’ work at the top of the program, is considered to be one of the greatest Germanic legends to come out of the Middle Ages, and is heavily influenced by the Norse mythos as well. Salonen pulls only the most exquisite excerpts from Götterdämmerung, which is the coldest and most desolate opera of the cycle. Götterdämmerung acts not only as a conclusion to the epic cycle of operas that is typically performed over the course of several days, but is used here as a conclusion to Esa-Pekka Salonen’s fantastic evening of music based on Nordic subjects. Sibelius’ Pohjola’s Daughter sets the mood for the evening as an exposition of Finland’s mythological and musical heritage within the Norse tradition. Salonen’s Violin Concerto later expands upon Sibelius’ atmospheric musical style as the orchestra, with Leila Josefowicz’s masterful violin work, showcases a beautifully desolate and turbulent tribute to his musical inspirations while clearly invoking the Nordic wilderness in the minds of its listeners. In the end, Salonen’s selections perfectly invoke the mood many of us have as we head into the ravages and splendor of Winter. These works remind us that the season is not only one of bitter weather and desolate landscapes, but also a celebration of the crucial moment before the world becomes reborn again as Spring returns to us once more.